Just under two years since Samsung recruited the CyanogenMod founder Steve Kondik to their head of software development, Steve has called it a day. 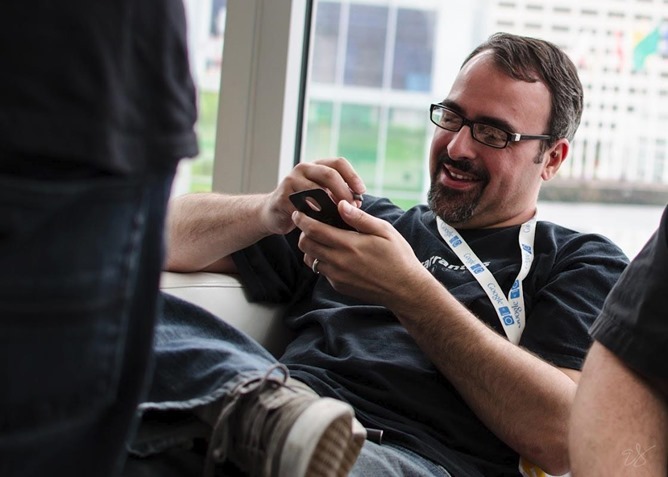 Steve needs no introduction, but if you haven’t heard of CyanogenMod (where have you been?) then it is one of the most popular software packages for rooted Android phones. It takes Google’s Android Operating System, optimises it, throws some custom goodness in and repackages it for free for almost every Android device to flash, relieving users of that horrible bloatware some phones are bundled with. CyanogenMod is so good, in fact, that Samsung recruited the guy that created it. His role was never very clear, but he mentioned that he was taken on to work on taking Android to the next level. However, the relationship with Samsung is now over, with Steve now running around free once again after posting on a Google+ Samsung Galaxy S4 impression post. I got to spend some quality time with the S4 (final hardware)before I left Samsung. I’m a huge a fan of the S3 and use one everyday, so I was quite pleased with the S4. Yeah, there is no refresh of the industrial design other than a few minor things such as the edging, but the device actually feels quite a bit more solid than the S3. Specwise, this device blows the competition out of the water. There are a number of unique features that have a lot of potential (assuming Samsung is opening up an API for them) such as the touchscreen which can register “hover” events, and an IR blaster. Benchmarks put this device FAR above the competition (40K on Quadrant CPU) and there should be no reason why it won’t run your favorite apps flawlessly. GPS seems to work better than any other Samsung device, with a lock being acquired instantly in almost any condition. The camera is excellent as well, both front and back. But that wasn’t his reason for leaving. He actually only mentions that he is leaving to “do something new”. However, he appears to have become frustrated with TouchWiz, saying that it feels like it has taken a step backwards, feeling like something from the Froyo days. TouchWiz has become a bit more consistent with the latest upgrade. There are no more jarring mismatches in different parts of the OS, and it’s been lightened up a bit and has a clean “flat” feel. Unfortunately, it feels like it has been sent a few years back in time to the Froyo days. Say goodbye to all of the nice touch-friendly ViewPagers and say hello again to a fully tabbed UI. You’ll also enjoy the seemingly endless onslaught of popup windows and modal “Loading…” dialogs. Steve continued his work on CyanogenMod whilst at Samsung as a ‘side-project’, and although he does not mention what is next for him, you can expect his work to be more focused on bringing more functionality to CyanogenMod.